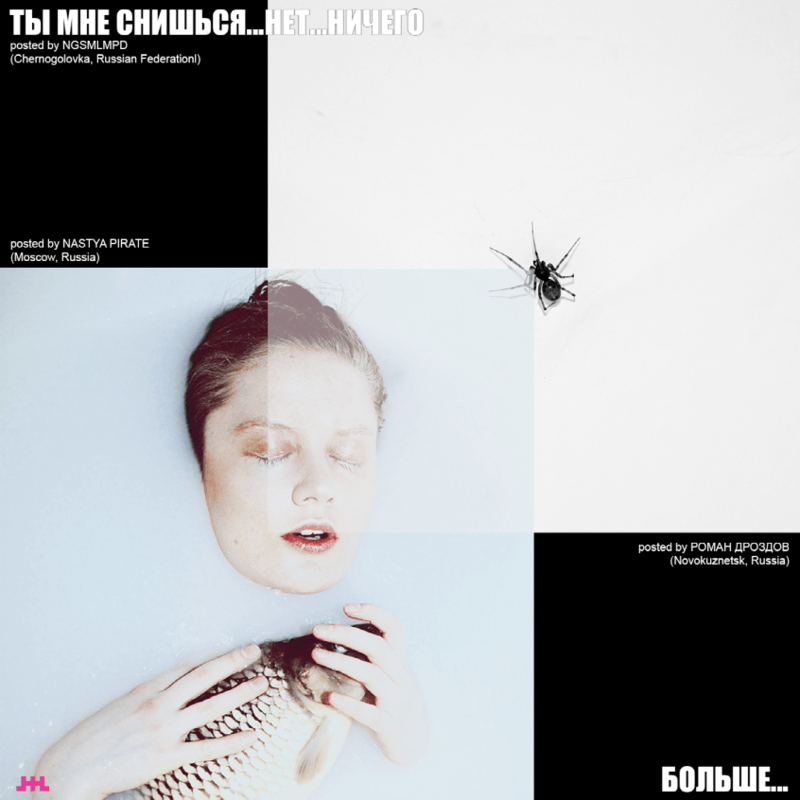 Crowd-sourced submissions for the new Mumiy Troll album cover will go on display at the Moscow Museum of Modern Art later this month alongside photography, video and audio from the Russian rock band. The competition was launched earlier this year by Shanghai-based Belgian-born art collective Leroy Brothers for the band’s album SOS Matrosu released in August. Among the submissions is one from photographer Nastya Pirate, whose work has featured on The Calvert Journal. The winner will be announced shortly and the best submissions will be used as part of a Leroy Brothers artwork. The three brothers that make up Leroy Brothers — Nicolas, Gregory and Giles — have been working with technology and computer graphics since 1997. The exhibition will travel with the band to St Petersburg, Belgium and the French Rivera. It will run from 18 November to 2 December at MMOMA.